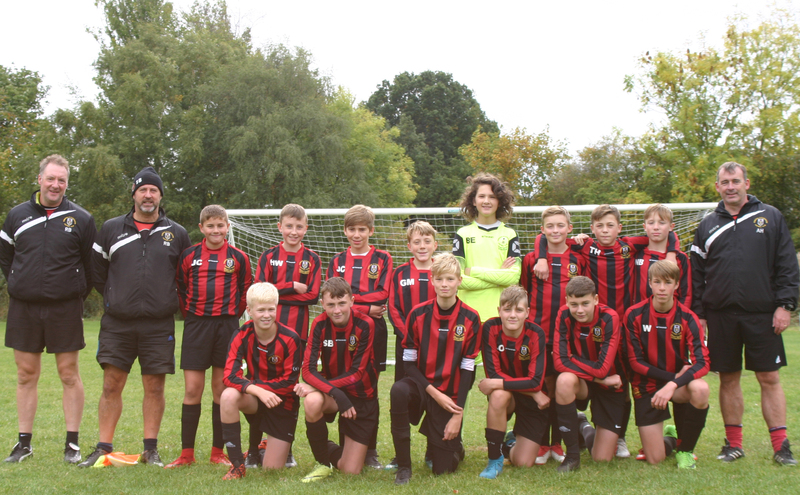 Gomersal & Cleckheaton U14 White 1 vs. 1 Lepton Highlanders JFC U14 Blues - 28 October 2018 - Under 14 White - Gomersal & Cleckheaton F.C. The match never really got going and Gomersal fought back after going a goal down late on, which was one of the positives. The visitors had the better chances in the 1st half and should of gone 2 up if they could have finished better and if it was not for a good save from Bryn Evans. Gomersal started better in the 2nd half and a had a few decent shots. The visitors went ahead from a set piece following a doubtful free kick conceded by Sam Bottomley. Gomersal also lost Lewis Wilkinson to injury. Elliot Atkinson showed improvement in the 2nd half. Eventually Alex Hughes got the ball wide and crossed with an assist for Niall Brown to chip in the top corner against his old side. Callum Snowden was pushed up front and again was awarded the MOM.